We went over the details of this update already, but that was before it went live. 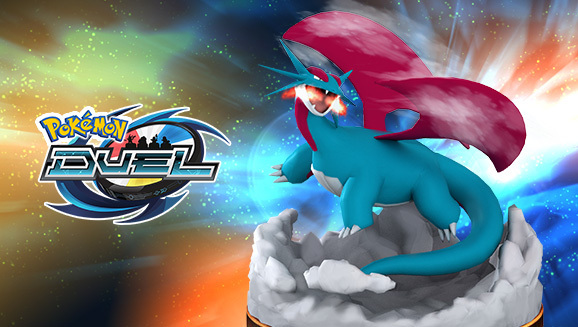 You can now hop on your mobile device and grab the Version 7.0.7 download for Pokemon Duel. Here are some of the details on this update. If you want to run through the full patch notes again, you can check out all the details right here. 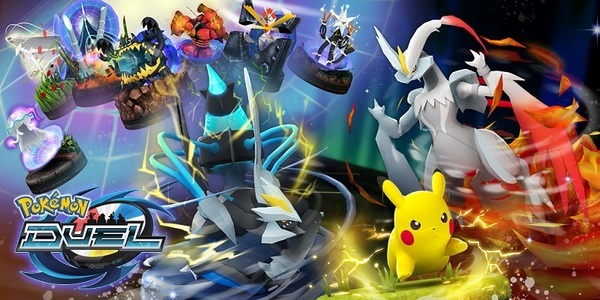 Another big update is coming to Pokemon Duel on April 10th, 2019. This update will bring the game up to Version 7.0.7. Check out all the details on this update below. Yesterday, the Pokemon Co. shared an April Fools' joke about rebalancing Pokemon Duel by including an overpowered Bidoof figure in the Queen's Cup. For those who actually played on April Fools' day and fell for the joke, Pokemon Co. is offering a new Bibarel figure. This figure will be available until April 5th, 2019. 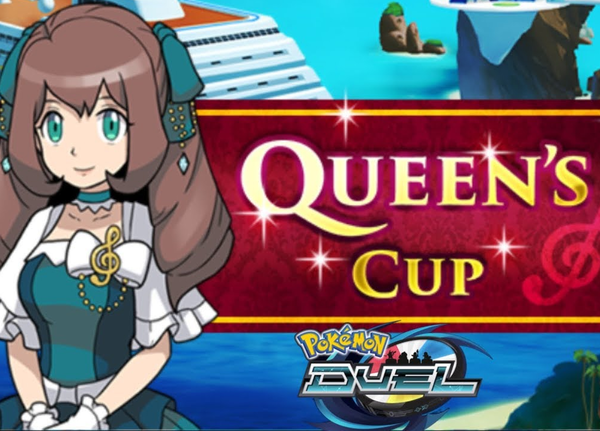 Time for a new Queen's Cup event in Pokémon Duel. Check out all the info on this event below. 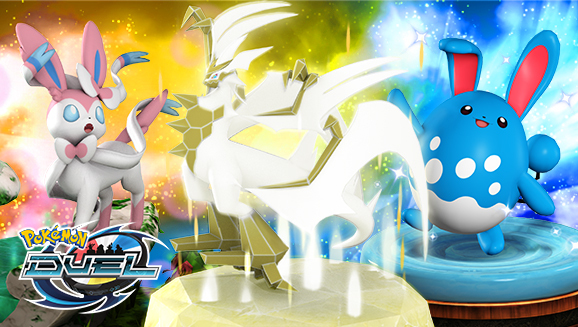 Battle in the latest Team Match event in Pokémon Duel to get great in-game rewards. 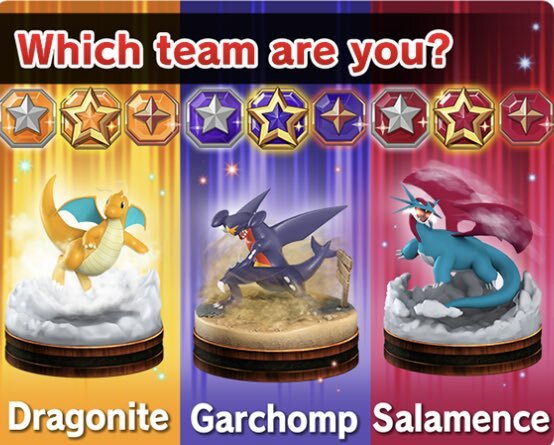 When you join the action, you'll get to choose whether you want to be on the Dragonite, Garchomp, or Salamence team. 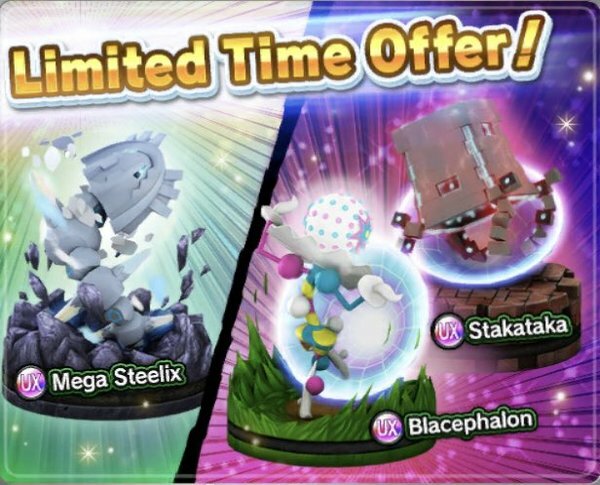 Players can already get [R] Salamence and [UX] Mega Salamence for completing the tutorials, so this is a good opportunity to add to your collection. The [EX] Salamence figure's Ability lets it move over an adjacent Pokémon, and when it does, the Pokémon it moves over is burned! Good luck in the Pokémon Duel Team Match event! 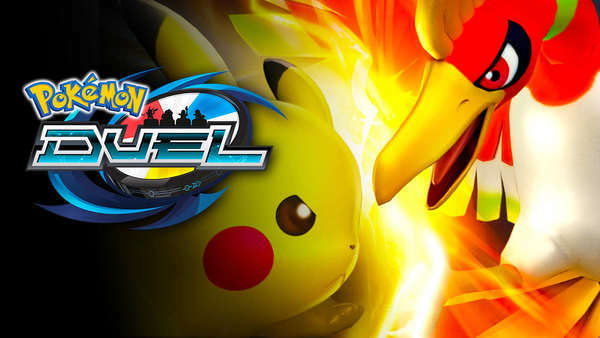 There's a new Team Match event coming to Pokemon Duel, and registration for that event has opened up. Check out the full details below. 40 million can't be wrong! Pokémon Duel has now been downloaded over 40 million times! To celebrate, you will receive special log-in bonuses just for booting up the game! Each day you log in from 8 a.m. PDT on March 13 until 7:59 a.m. PDT on March 23, 2019, you'll receive two [R] Rare Metal, 40 Carmonite, and 40,000 Coins. That adds up to a whopping 20 [R] Rare Metal, 400 Carmonite, and 400,000 Coins if you log in for each of the 10 days! As if that's not enough, you'll also receive [R] Azumarill as a special log-in bonus the first time you log in between 1 a.m. PDT on March 13 and 6:59 a.m. PDT on April 9, 2019. This figure has the Huge Power Ability, which increases its attack damage by 50. Plus, you'll be able to use a 3-Day Duel Boost and a 3-Hour Enhanced Boost for free once during this period. Azumarill isn't the only Fairy-type Pokémon you can add to your deck in March. Available for the first time, you can earn a [UX] Sylveon as a Monthly Point Reward. [UX] Sylveon can zip around the board with its 3 MP, and it can nimbly move through Dragon-type and Dark-type Pokémon using its Ability. Plus, one of its attacks can force Dragon-type opponents back to the Bench, and its Moonblast attack gets +50 damage if you pair it with [EX] Cresselia. Two new figures are available to Player Pass subscribers or in Key and Time Boosters. 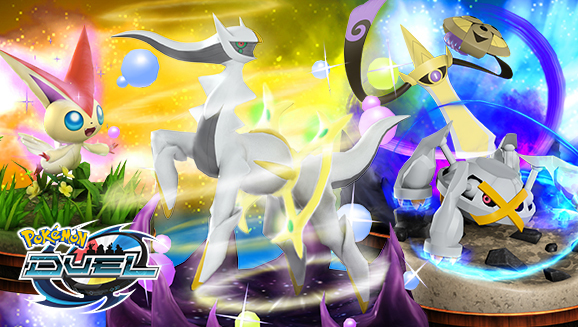 [EX] Diancie's Ability gives Fairy-type Pokémon advantages against Dragon-type and Dark-type Pokémon, such as [UX] Mega Rayquaza and [EX] Zoroark. It'll pair nicely with [EX] Cresselia and [UX] Sylveon because it, too, has the Moonblast attack. The other new figure, [UX] Ultra Necrozma, is available as a Monthly Point Reward. If you use the plate Ultra Burst, [UX] Dusk Mane Necrozma or [UX] Dawn Wings Necrozma can change its form to [UX] Ultra Necrozma for 7 turns. [UX] Ultra Necrozma can use an exclusive Z-move, Light That Burns the Sky!